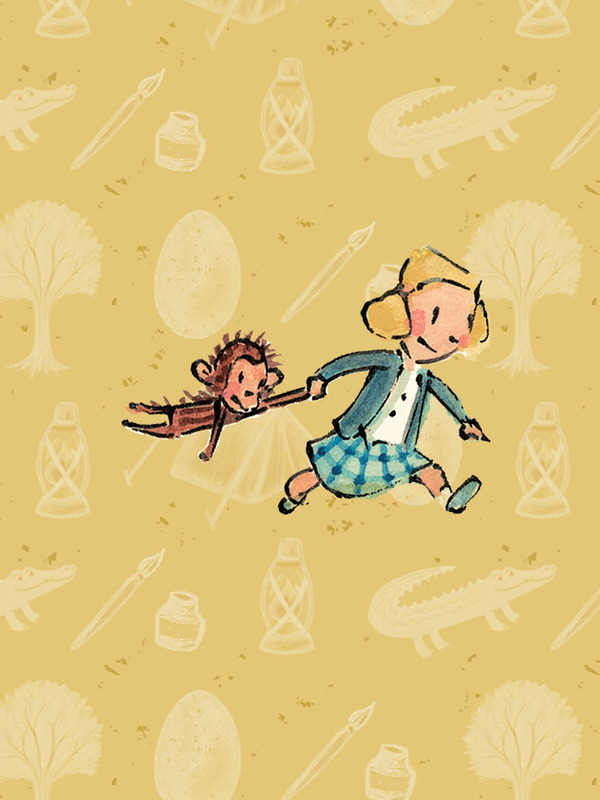 10-year-old Jane Goodall and her sidekick Jubilee (a stuffed monkey doll) journey no further than their quaint, English backyard. In Jane’s daydreams, however, they eat breakfast on the Sahara, feel the ground shake during the Great Migration on the Serengeti, and smell the air on the shores of Lake Tanganyika. Commissioned by the Kennedy Center in Washington, DC, childhood imagination leads the way in this musical portrayal of Jane’s lifelong love of animals, starting with backyard chickens, hungry squirrels, and neighborhood dogs. Defying expectations of what girls “should” do, Jane’s natural curiosity leads her (and Jubilee) all the way to the land of her dreams: living amongst the chimpanzees in the jungles of Africa. Curiosity can lead to important discoveries. Observing the natural world helps you learn about yourself and others. Achieving your goals requires perseverance. Me…Jane (2019). Illustration by Patrick McDonnell.